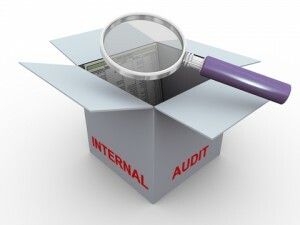 We offer services in internal audit, internal control, fraud and investigation. Our team members have several years of experience working as internal and external auditor. Also, previously worked as internal auditor and fraud consultant to major companies in Nigeria. Internal Control, Fraud Detection and Internal Audit. It is common for management to believe that the controls within their organizations are working efficiently. Although many times controls may not be functioning as intended, may not be fully implemented, or may not have been initially implemented at all – which creates a significant risk for an organization. The goal of implementing the proper controls is to protect the business from all types of losses which may result in a financial loss. The Internal Audit Department can help meet these needs through its specialization in process review, fraud detection, operational quality, internal control and regulatory compliance. Internal audit services help boards and senior executives effectively manage enterprise risks and execute strategy by assisting organizations with protecting shareholder value and enhancing the effectiveness, quality and value received from internal audit. PML Advisory’s Internal Audit Services can help your Company to achieve the above and more with our comprehensive approach that yields practical solutions. We also have an internal audit management solution which put the internal audit team completely in charge of their internal audit process from plan an annual audit, announcing the audit plan, executive the audit and putting together the audit documentation. Designing of internal audit department systems within the organization. Assisting in the selection and training of the internal audit staff, preparing the audit programs, assisting in the performance of the implementations and following up such implementations. Preparing and presenting training seminars and workshops for internal auditors of commercial, industrial and financial institutions and companies.